Just tribbles, Captain. Perhaps we should ask the one with a hat. Cute! I like the stare he's giving the viewer. 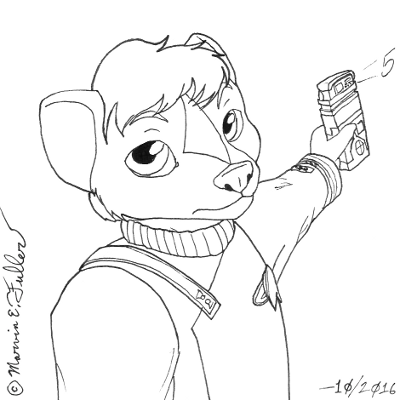 Anyway, the stare was pretty much why I drew this one beyond "my persona in a Star Trek uniform". It lent it a personality beyond just a simple pose.